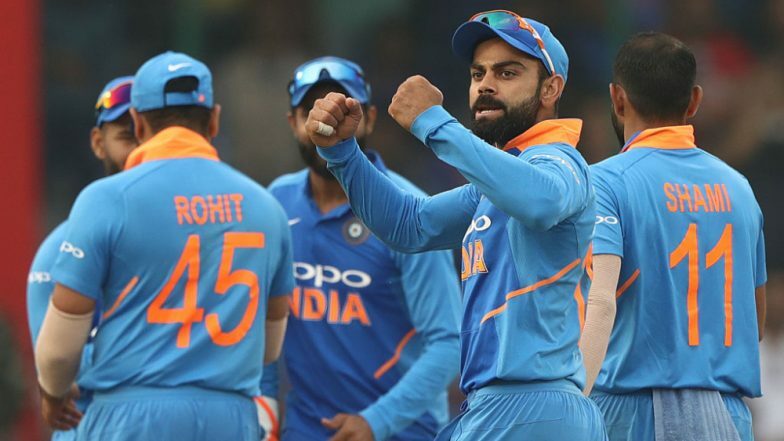 Kolkata, April 17: Virat Kohli's abysmal run in the Indian Premier League won't have any bearing when he leads India to the World Cup, feels New Zealand pacer Lockie Ferguson. Part of New Zealand's World Cup squad, tearaway quick Ferguson, who is in India playing for Kolkata Knight Riders in the IPL, said Kohli is an 'international superstar' and the Kiwis will be wary of him no matter what happens in the IPL. Rishabh Pant, Shreyas Iyer Join Virat Kohli and MS Dhoni As Brand Ambassadors of Boost. "He is an international superstar. Playing for RCB is a lot different than playing for India," Ferguson told IANS in an interview. Kohli's Royal Challengers Bangalore have failed to win seven out of the eight games so far this season and are all but out of reckoning for a playoff berth. Kohli hasn't been out of form, amassing 278 runs from eight matches at an average of 34.75. But by his lofty standards, the India captain has failed to live up to reputation. Kohli's captaincy has been questioned time and again with former players like Gautam Gambhir saying that Kohli is lucky to still remain at the helm of affairs at the franchise. KKR take on RCB on Friday at the Eden Gardens here and more importantly Ferguson will also be looking to get Kohli's back when New Zealand take on India in the World Cup on June 13 at Trent Bridge. India Team for ICC Cricket World Cup 2019 Announcement Updates: Dinesh Karthik Included, No Place for Ambati Rayudu and Rishabh Pant. "He hasn't got the wins as he would have liked (in T20s), but that's not to say he will go badly at the World Cup," the 27-year old said. "It's a different competition, different team and different format." Ferguson said New Zealand will have to be cautious of Kohli like all teams when they lock horns at the World Cup as he is always a threat. "He has been scoring runs and will still be a threat." The IPL can be excruciating for fast bowlers, and with Ferguson being a vital cog in New Zealand's wheel for the World Cup, he was asked about workload management. Death bowling is a big challenge for pacers in the T20 format, but Ferguson feels while it isn't easy, the challenge lies there. "It's tough but at the same time taking their wickets, getting them out at crucial times makes it that much more exciting. Vijay Shankar Included in Team India for ICC Cricket World Cup 2019, Check Full 15-Man Squad.